This weekend is the 4th of July. As a kid we would always have a BBQ or picnic and then everyone in my family would pile into my parents van and we’d drive to see fireworks. It wasn’t always the same place but we would always go and see fireworks. Growing up in Pittsburgh there were lots of places to see fireworks. They were big, they were bright, and they were loud. Then we would come back to my parents, light up some sparklers, then my dad would put off a few mini fireworks and we would all clap. It was fun. Now that I’m grown up and living away, my husband and I always make sure we grill out on the 4th of July. If we go and sit out on our back sun porch we can see the fireworks at the neighboring town so that’s mostly what we do. It’s nicer to stay home and watch them for the porch. 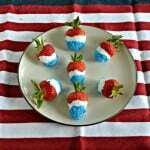 Another thing I like to do is make a fun red, white, and blue dessert or beverage to celebrate the 4th of July. 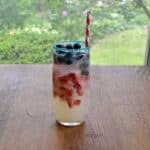 Last year I made a tasty red, white, and blue sangria with fresh fruit. 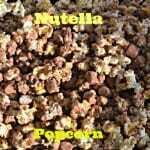 It is rather tasty and we’ll probably make it again this year. 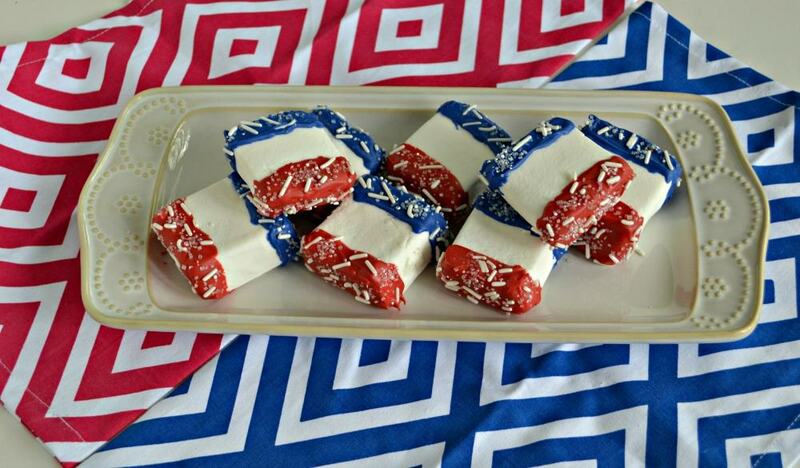 This year I also made a fun and easy red, white, and blue dessert. 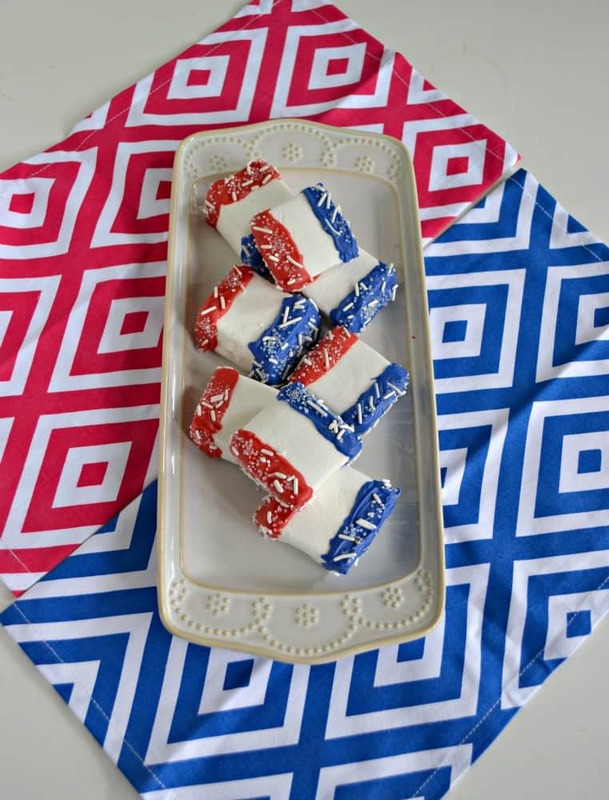 These red, white, and blue chocolate covered marshmallows are a fun treat to serve for any patriotic holiday. 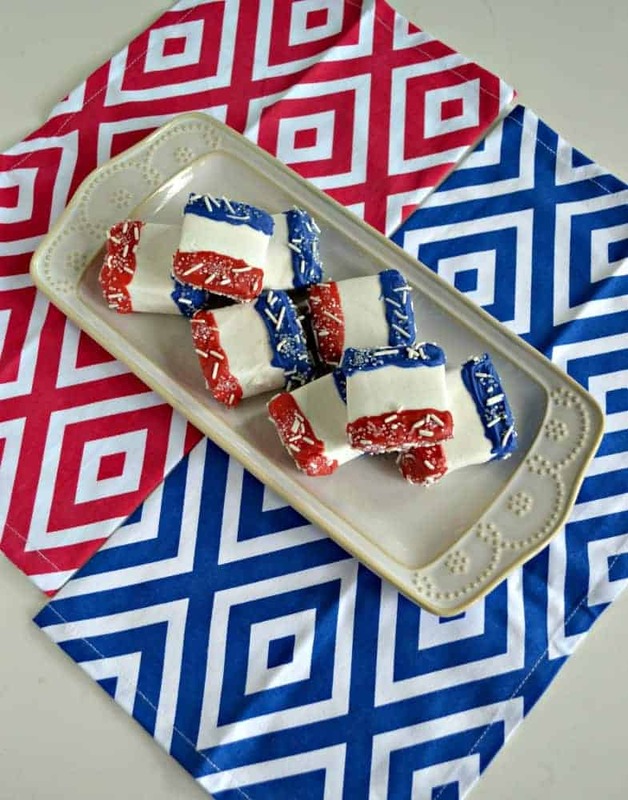 Large marshmallows are dunked in red chocolate on one side and blue chocolate on the other side and then are sprinkled with white sprinkles. 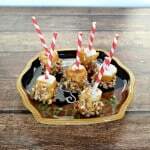 They are fun and tasty and kids will love them! 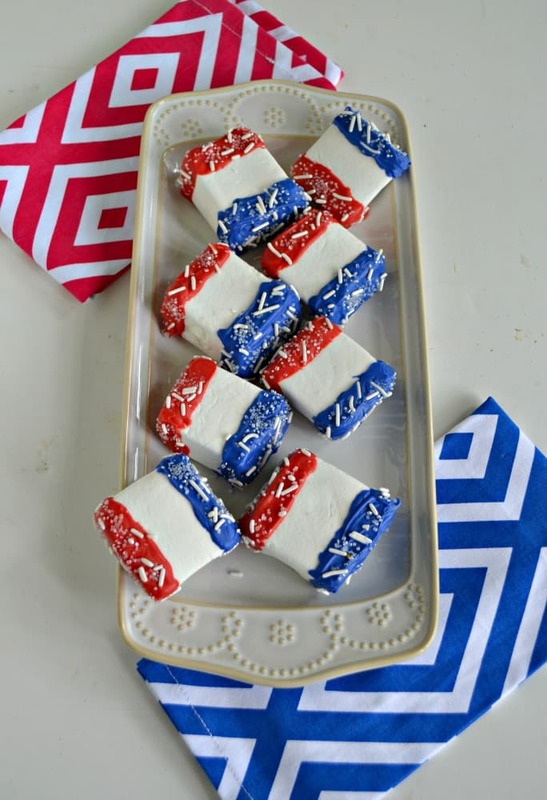 Large marshmallows dunked in red and blue chocolate then covered in sprinkles. 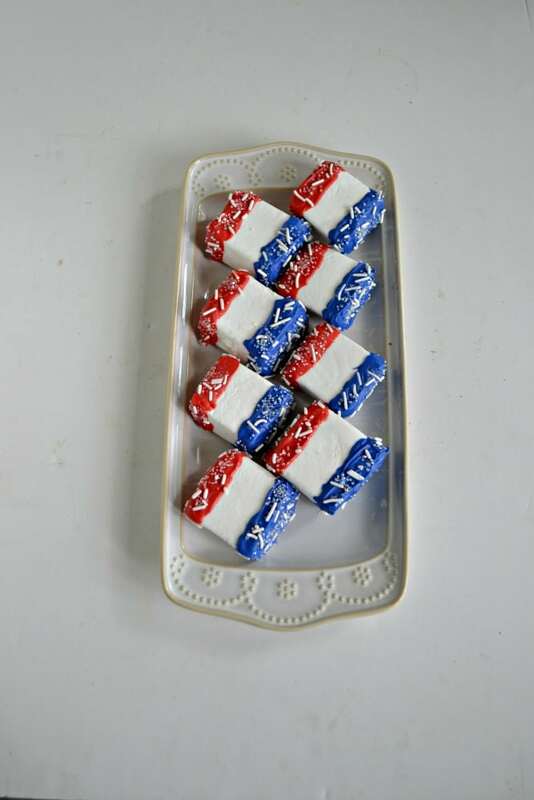 Place the red candy melts in a small bowl and the blue candy melts in another small bowl. Heat the candy, one at a time, for 30 seconds at a time, stirring after each heating, until the candy melts are totally melted. Dunk one end of the marshmallow into the red candy and sprinkle with white sprinkles. Set on a piece of wax paper to harden. After the red chocolate has harden, dunk the opposite end of the marshmallow into the blue candy, leaving some white in the middle, and sprinkle with white sprinkles. Allow the candy to harden. Store in an air tight container for up to 1 week.